When you go looking for something on the web, you expect to find it, right? After all, with thousands of businesses online, you can find just about anything on the web these days. Unfortunately, while that may be true, actually finding something can sometimes prove to be more difficult than you might imagine. For example, say that you sell soaps online. A potential customer visits your website, looking for hypo-allergenic soaps, but you only have them listed as “non-allergenic” or “fragrance free.” When their search turns up with no results, they know there are other soap sellers on the internet, and they go elsewhere to find what they are looking for. The good news is that this doesn’t need to happen more than once for any particular search term or customer. When you regularly use search analytics for your site, you will learn what terms your customers are looking for, and you can easily add those words to your product descriptions or keywords. You see, search analytics tell you what terms potential customers are actually using to search for something, and can easily flag all search results which turn up empty. Now, if a customer searches for “dish towel” and comes up empty, that’s fine, because you sell soaps, not towels. But if the customer is searching for “children’s no more tears soap” and you only have it listed in your system as “children’s tear-free soap” then the search analytics will let you know it’s time to add additional descriptors to your online soap product file, or amend your program to allow “or” instead of just “and” type searches. Search analytics can also provide useful information on volume and rate trends. Perhaps Dr. Oz recommends a certain type of organic brand soap that you happen to sell. 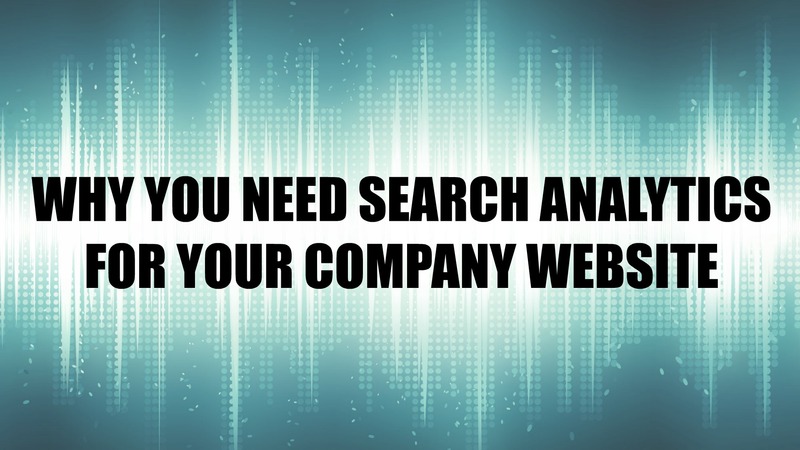 Your search analytics will show a spike in searches for that brand. If there is not a spike in sales to go along with it, you might want to consider buying that soap in bulk and lowering your price in order to compete more effectively with other online retailers. That way you can cash in on the craze. As you can see, search analytics are useful for any online retailer. Contact us today to learn more about what we offer.